The White River is actually two rivers. One is longer and called the West Fork, which begins as a tiny stream in northwestern Indiana. The other is called the East Fork beginning at the confluence of two waterways at Columbus, IN. They merge and become one river in southwestern Indiana with only a short distance to the river's end. These rivers should have been given their own names with the "East River" becoming a tributary of the "White River". There are several reasons for this theory. First is that each river is very different and great in their own way. The West Fork flows through much different terrain and through several large cities. Second is that both rivers flow for hundreds of miles before joining very near the end of the watershed. Third is that they begin in different ways. The East Fork begins as a large river at the source, and remains a major Indiana river its entire course. Finally, the two rivers are deserved of their own identities based on the very spectacular and unique waterways they are. The reason some rivers are named as "forks" really has nothing to do with the points mentioned. The naming has more to do with how they were explored. Upriver exploration caused forks to be named because they may have been traveling up the main trunk of the White River when they reached the fork. Both looked about the same in size, so the explored one fork, then the other and named them so. Another controversial point about rivers is defining their natural source. As mentioned the West Fork of the White River begins as a tiny stream, (actually a run-off ditch from a farm field), so it is fairly well defined in the natural order of things. The East Fork, however, officially begins at the confluence of two other rivers. It is generally accepted that the true source of a waterway is its longest tributary. The Flatrock River travels 112 miles from its tiny source to the confluence. 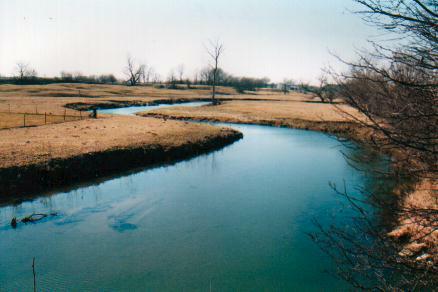 The Big Blue River flows 128 miles from its source before merging with Sugar Creek and becoming the Driftwood River. The Driftwood River flows another 24 miles to the confluence of Flatrock River, creating the East Fork of the White River. This means that the true source is the Big Blue River. By name the West Fork is longer than the East Fork, but in the natural order of things the East Fork is 152 miles longer than the West Fork, and the headwaters of the two rivers is only 5 miles apart. Another interesting point is that the beginning of the East Fork is actually farther west than the West Fork. The West Fork offers a huge variety of terrains including mild rapids, dams, remote woodlands, open land, and cities. It has a surprising amount of remote areas, particularly in its lower sections. 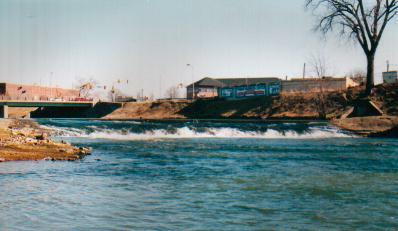 With the number of portages around low dams and the shallow waters in the upper reaches, the White River is for the physically fit, at least to around Spencer, Indiana where power boats can launch. It is a great river experience for those prepared to handle the challenges. The East Fork can be traveled in power boats almost from the beginning during good water levels but it also has dams that will prevent any continued travel by watercraft that cannot be carried by hand. The East Fork is very natural and has had little change. Except for the occasional man-made obstruction or structure, boating down much of the East Fork probably looks like it did to the early explorers. Wildlife is abundant and fishing is great. There are miles and miles of remote beauty that one could only experience in Indiana by river. The East Fork is an impressive waterway that is a pleasure and an adventure to explore. 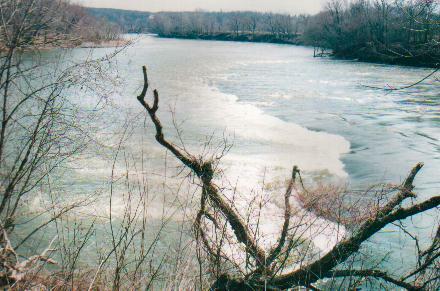 The two rivers merge near Petersburg, Indiana. At that point they are about the same width. The currents can be tricky in this section, particularly during high water. Another influence at the confluence is if one river is running at a much higher gage than the other. This creates turbulence at the fork. The main trunk called the White River, with no fork distinction is only 45 miles long, but it is a major waterway. In fact it is the largest tributary to the Wabash River. 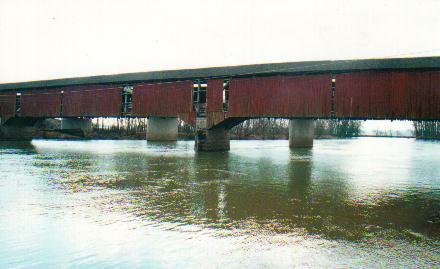 It merges with the Wabash at Mt. Carmel, Illinois. Power boats usually have no problem in this area, except during very low water. Very often this lower portion of the White River will have little or no current. Sometimes one can even see things floating upriver. This is the influence of the Wabash River. If the Wabash is high and the White is low, backwaters will come up from the Wabash. Both forks of the White river have low-head dams that must be portaged. It is important to know where those dams are and make plans to take out for portage well in advance of approaching these dams. They are very dangerous and cannot always be seen in the distance while traveling downriver. My travels on the White River have been both rewarding and challenging. The East and West Forks are sometimes overshadowed by the Ohio and Wabash Rivers but are very important rivers with a huge watershed and many natural wonders. I have traveled all major rivers in the eastern U.S. and found the White River(s) surprising and amazing. They are another of Indiana's best kept secrets. It is there for us to enjoy, but be careful. I invite anyone to discover a natural world you never knew existed in the midst of a developed state like Indiana. Explore it, enjoy it, and leave no trace that you were there.